Galileo High Accuracy is defined by the EU GNSS Regulation as one of the enchanced services that Galileo will provide. This added-value service will be provide for the mass market for free by navsat providers and other public entities. 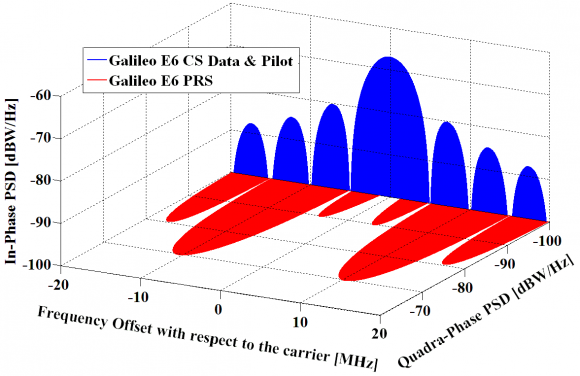 Galileo is designing and testing High Accuracy service through the E6B. E6B is broadcast on a carrier frequency of 1278.75 MHz with a data rate of 448bps. Receiver positioning accuracy with an error around 20 cm. Global coverage, including high latitudes. Possibly regional enchancement by ionosferic corrections to reduce time to precise fix. 20 downliks (5×4) at a few-second latency foreseen at FOC (2020). A ground infrastructure allowing connection with an external entity at GSC.